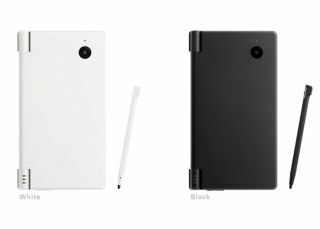 Will the DSi really make it to our shores next year or not? A day after the launch of the new DSi handheld, Nintendo's president Satoru Iwata has cast some doubt on when the machine will be launched outside Japan. Speaking to the Nikkei business newspaper, Iwata would say only that, "the DSi will probably [our emphasis] be launched in the US and Europe next year." That's not exactly what the press were officially told yesterday when we were led to believe that 2009 was nailed on. Of course, Iwata's words don't necessarily mean much – he has to have one eye on the millions of unsold DS Lites in stock all over the world for now. As for his goals for the DSi, Iwata wasn't shy, stating, "Now we want each person to have a DS" and, that it "is the result of our desire to have the busy modern-day person recognise the merit of spending time using the unit." "Because users can now download and save software, they can personalise the DS. By downloading subway maps and other things, for instance, the DSi can be useful for applications other than playing games. We wanted to create an offering that would fit naturally into people's everyday lives." So, there you have it – Nintendo doing what it does best by slightly tweaking an existing product and selling it to the masses for a second (or third) time.